Tomorrow is the first day of spring. The days are getting longer and a little warmer. We are having our rain a little later than usual this year, and I don't mind because there are plenty of blue sky moments between the grey. Our garden is coming back to life. This week we got the first blossoms on our Plum tree. 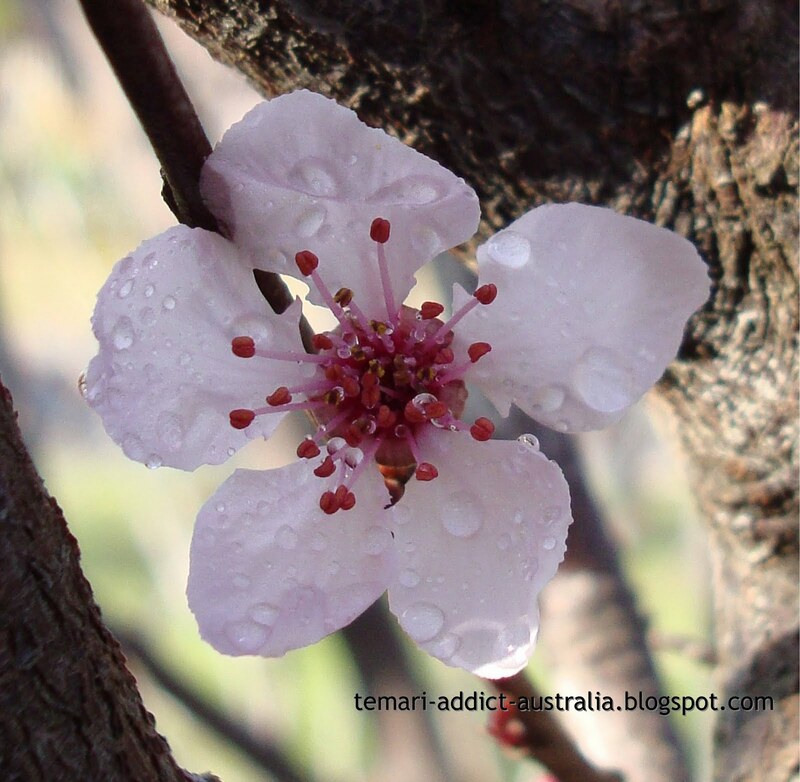 I love to watch these blossoms arrive, because we don't get cold enough temperatures for real Cherry Blossom in Perth so this is the closest thing. One day I will get to drink sake under the Cherry blossoms in Japan. I took this photo on the way back from School this morning. I love the little sparkles of rain on the flower (and I am amazed my camera managed to capture it). There are lots of buds but just a few flowers at the moment so I am hoping for a nice show of flowers this year. I feel so lucky to have such a lovely tree in my yard. 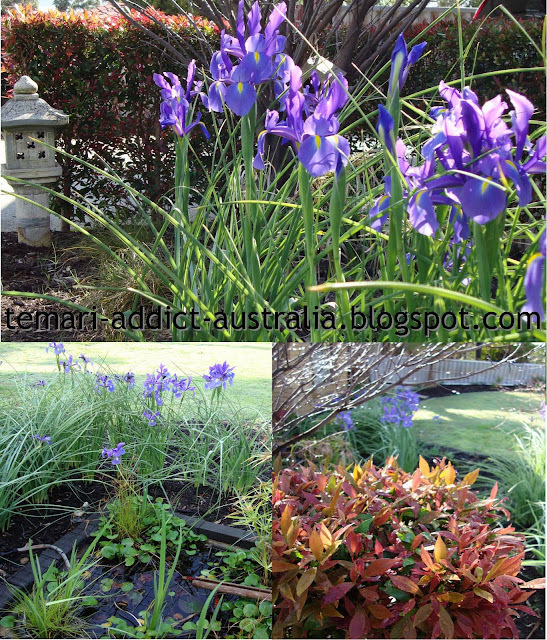 Also this year the Blue Irises are going gangbusters!!! We planted these several years ago and each year we leave them in the ground and cover them with a new layer of mulch for a bit of protection from the summer heat. I must say I am surprised to see them sprout new shoots every year and I a simply AMAZED that they multiply and flower so abundantly. Since we planted them, each year has gotten better and better. There are Irises along almost the entire front of our yard. 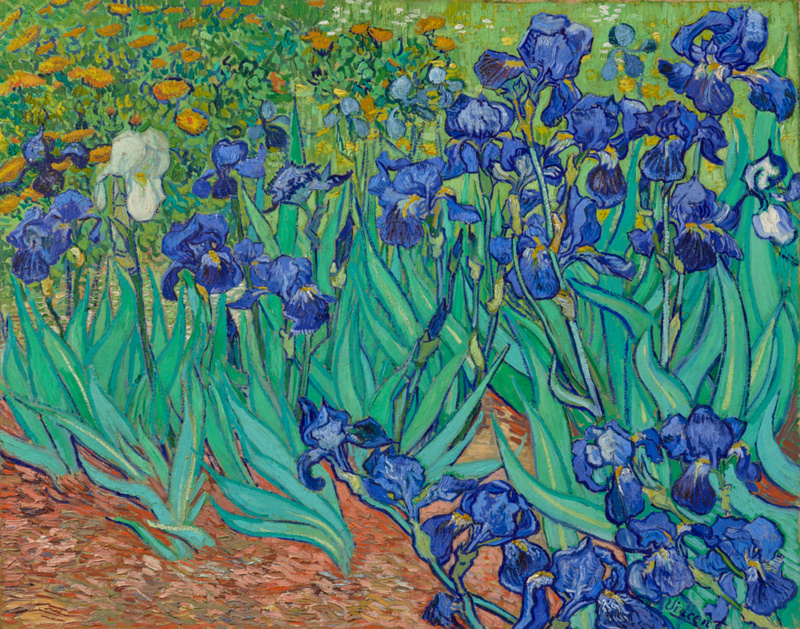 It reminds me of the Van Gogh painting of Irises which I have a print of hanging in my bedroom for many years. 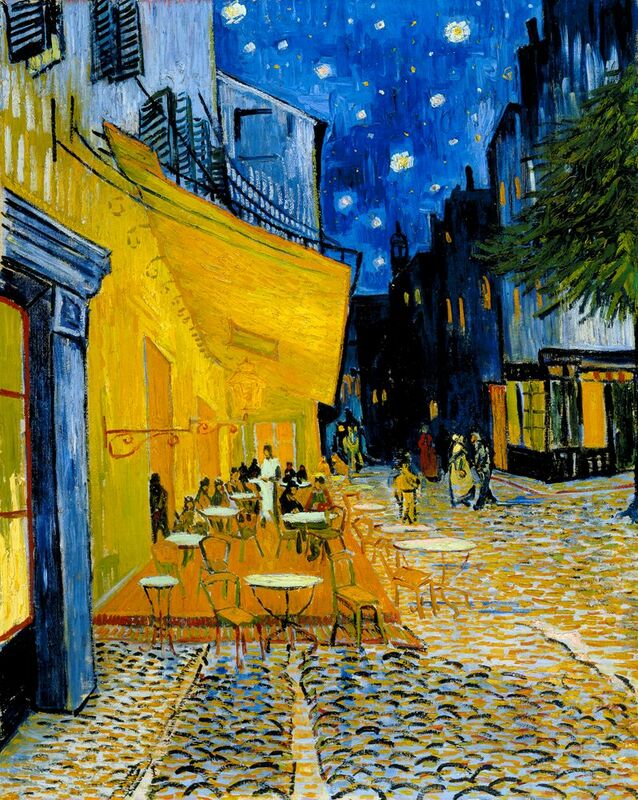 (I like Van Gogh and we have a print of Street Cafe in our dining area.) The pond should have some lily flowers soon, I forgot to take a picture last year, and you might see the red flecks in the pond which is our fishy family. There is a baby fish in our pond. I don't know how it got there (ok, I know how it got there) rather I am not sure when it was born but we first noticed it at the end of summer. So now there are 4 fish, 3 are about the length of my hand and then there is the little one but it is too well protected by the parents to see its actual size. Not too bad for a couple of black thumbs! 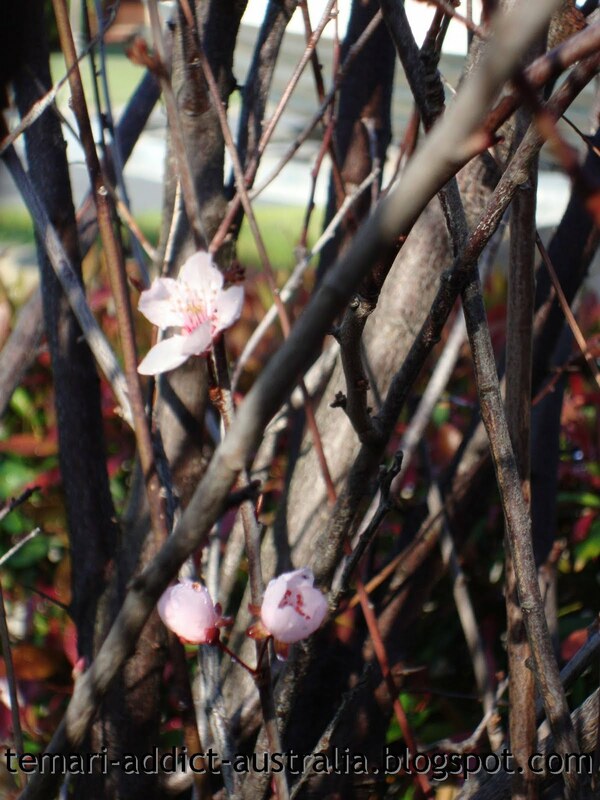 It is fun to see you write about your signs of Spring as we head towards Fall here. I think we still have a few weeks before it really starts to look fall-ish but it is coming.